Jack Rayner is a 2nd year student of history at Swinburne University. Jack is a recent addition to the volunteer team at the Geoffrey Kaye Museum and has been attempting to take classroom skills into the real-world. His research will be contributing to a 2018 exhibition on early women doctors. Why on Earth would someone want to lock himself in a room filled with dusty old books, archaic medical equipment, and little bottles of hazardous materials for a day a week? The answer is, of course, that to be a historian requires looking the part. With that in mind, I have recently joined the Geoffrey Kaye Museum as a volunteer, and have been tasked with helping the museum’s curator, Monica Cronin, with gathering resources and materials that we can use in a 2018 exhibition – The Rare Privilege of Medicine: Women anaesthetists in Australia and New Zealand. Looking into early women doctors and anaesthetists is by no means an easy undertaking. It has required digging into the past in a way that university has not prepared me for – how do you gather history on someone that history has largely forgotten? Luckily for me, the feats that many of these women achieved have forced the past to take notice. We are talking about war heroes, pioneers in maternal and pre-natal health, women’s rights activists and forces of personality who simply refused to take no for an answer. Of all the women I have researched over the last month or so, there is one who strikes me as a particularly daunting figure. Mary De Garis graduated as the dux of the Melbourne Methodist Ladies’ College in 1898. 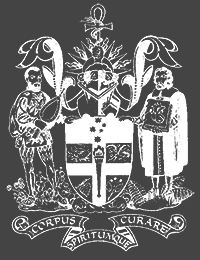 Following the completion of a Bachelor of Medicine in 1904, a Bachelor of Surgery in 1905, in 1907 Mary De Garis finished her post-graduate studies at the University of Melbourne, becoming only the second woman in Victoria to graduate as a Doctor of Medicine (MD). Following the outbreak of war in 1914, Dr De Garis attempted to enlist as a doctor with the Australian Army. Despite an extensive and impressive resume, Dr De Garis was rejected on the grounds that women would only be allowed to enlist as nurses. Refusing to take no for an answer, she joined the Scottish Women’s Hospitals for Foreign Service, an all-female organisation that attached itself to Entente forces and took in women rejected from serving their own countries. 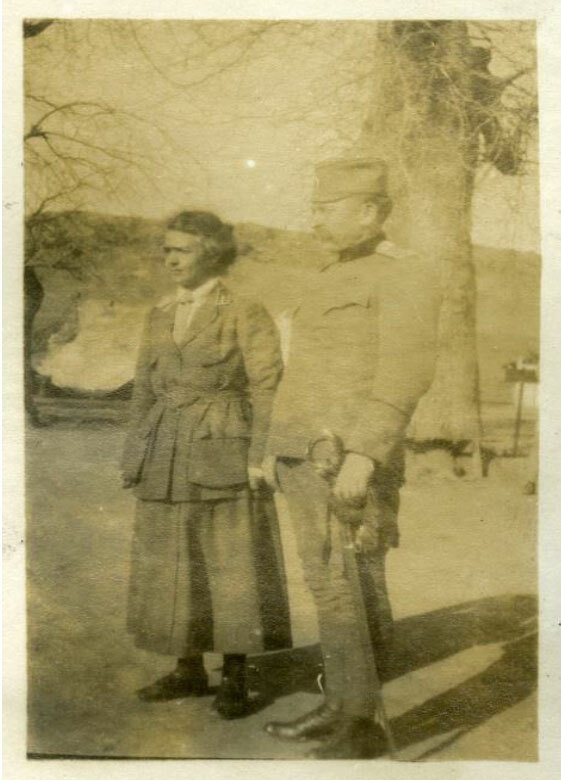 In her position as Chief Medical Officer of a hospital in Ostrovo, Macedonia, Dr De Garis oversaw the 200 bed facility with such determination and distinction that she was awarded the Medal of St Sava, 3rd class, by the Serbian government, a decoration reserved for those who provided meritorious service to the Serbian state. Following the war, Dr De Garis became the first female medical practitioner in Geelong. She was instrumental in the construction of a maternity ward for the Geelong Hospital, named “De Garis House” in her honour. De Garis House is now part of the Geelong Private Hospital. Dr De Garis was also an accomplished author, with three books and 48 journal articles to her name. The exhibition has an important part to play in highlighting and celebrating the often underappreciated achievements of these women, who, despite every obstacle and limitation in front of them, persisted until they got their way. While valuable as an interactive tool for the public, my research has also provided personal worth for myself as a student. By taking an interest in what is a largely unresearched field, I have been able to move away from the sometimes restrictive and stuffy field of academia and delve deeper into the personal stories of the women I am researching. While trends and forces, footnotes, citations, and bibliographies are all valuable and necessary tools, the ability to take a more subjective look at the source material in front of me is a perspective that academia is often missing. Another point of particular interest for me is the opportunity I have had to interact with some of the objects that will become a part of the exhibition. 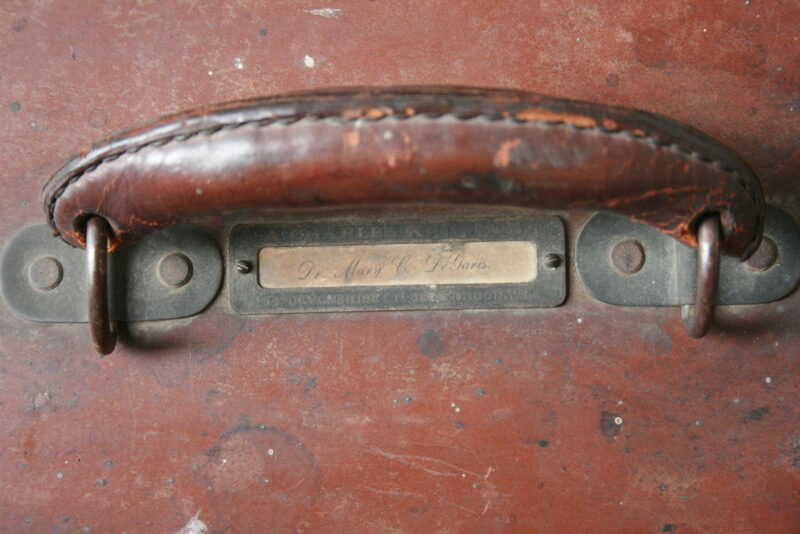 The Geoffrey Kaye Museum is in possession of a Minnitt anaesthetic machine, owned by Dr De Garis and with the words “Dr. Mary C. De Garis.” emblazoned on the nameplate. The Minnitt machine was revolutionary for the time, as its portable design allowed for the relatively easy administration of pain-relief during home-births. In practice, this meant that pain-relief was now an option for poor and working-class women that could not go to hospitals during childbirth. Being able to view the artefact first-hand reinforces for me that Dr De Garis is not just a name or photograph in an old newspaper, but a person who helped to bring new life into the world. Overall, my time at the Geoffrey Kaye Museum has been an informative one. It has shown me that there is more to history than books, and more to being a historian than writing them. The Rare Privilege of Medicine: Women anaesthetists in Australia and New Zealand is scheduled to open in March, 2018.